For its “Dream Cars” exhibition, which runs May 21 through September 7, the High Museum of Art becomes a showroom for seventeen concept cars built by Ferrari, GM, and Porsche. The fleet represents auto design ambition from the 1930s through the twenty-first century, including a 1953 Firebird I XP-21 that resembles a small jet. (You do not want to know how much it costs to fill that tank.) On the more frugal side, there’s the energy- saving L’Oeuf électrique (pictured), which Paul Arzens designed in 1942 and used during the Nazi occupation of Paris. 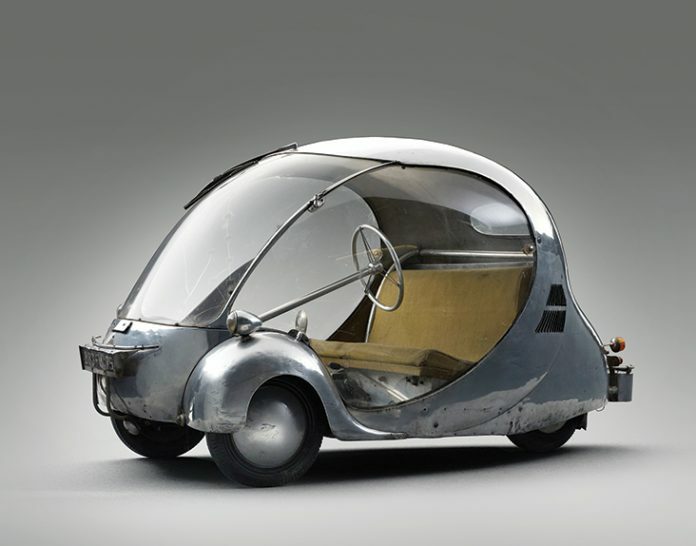 The bubble-shaped precursor to the Prius and Leaf makes its first U.S. appearance.